This being Thursday, I visited the Central Library at 5th and Flower Streets, then took the Dash B bus to Chinatown. 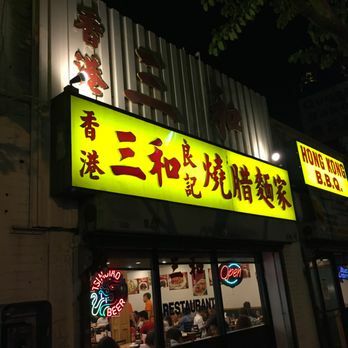 The last several times I’ve been downtown, I headed to Chinatown and dined at the Hong Kong BBQ Restaurant. Their Spicy Fish Filet with Black Bean Sauce and their Spicy Eggplant with Fish Fillet make for a great lunch. So great that I wasn’t able to finish my dinner. L.A.’s Chinatown actually shares billing with Vietnamese and Thai restaurants. I always look for the little old lady sitting on the sidewalk who sells a bag of fresh limes for a dollar. There are numerous shops selling Chinese lacquerware, statuary, jewelry, clothing, and other goods. I used to cook Chinese more frequently than I do now. It’s not great to eat white rice on a regular basis if one is diabetic. So I splurge occasionally and hope the damage is minimal. Maybe the fish fillet makes up for the carbs in the rice. Things have not always run smoothly with the Chinese population in L.A. In 1871, there was a race riot directed at the Chinese in which about twenty Chinese were hanged from lampposts by a mob of some 500 Angelenos. Not one of the members of the mob lost their lives or served time for their misdeeds. It was probably the ugliest race incident in Southern California’s history, except, of course, what we did to the Indians. 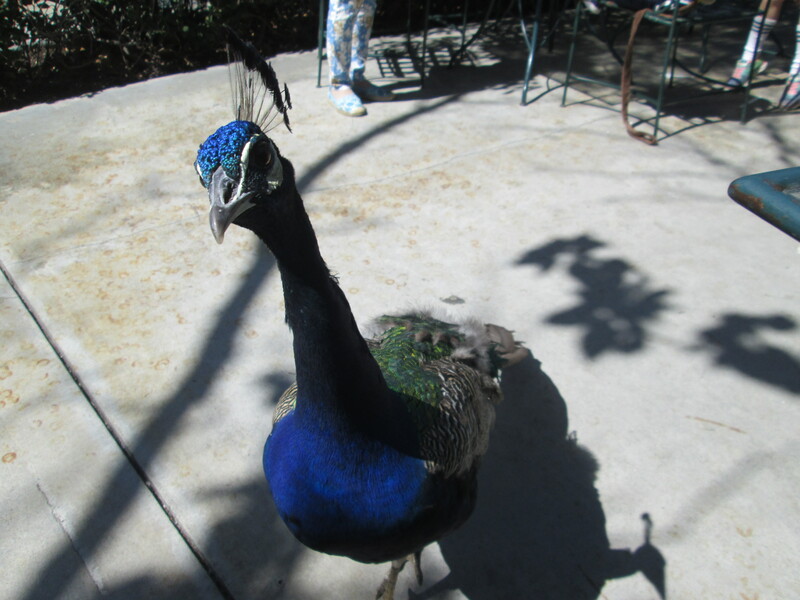 Could You Spare a Crust of Bread for a Hungry Peacock? 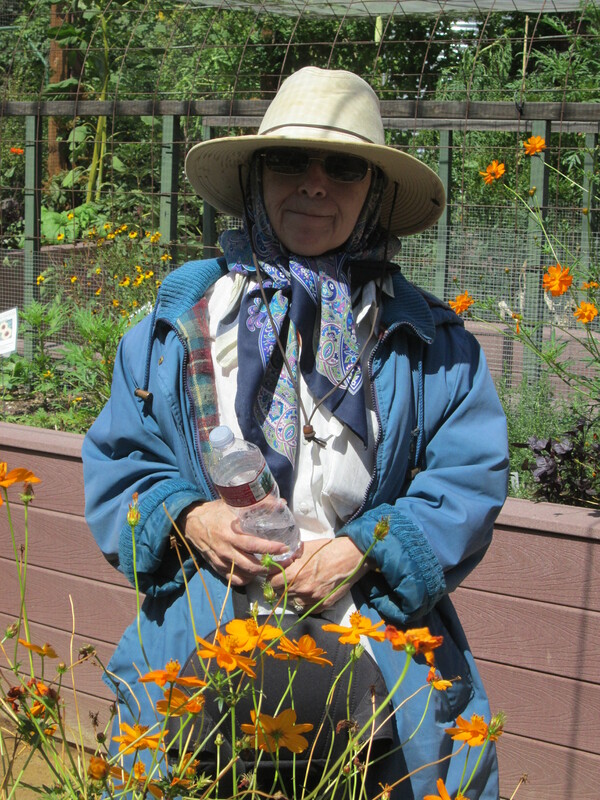 Today I took Martine to the Los Angeles Arboretum. There we ate at the Peacock Café, where various peacock moochers attempted to cadge some treats from us. Martine was good (the Arboretum doesn’t want visitors to feed their wildlife), but I couldn’t help leaving a few crumbs of bread on the side of the table, which were voraciously accepted. Martine and I are going through a difficult period. She still wants to leave Los Angeles. Not being married, I could not stop her. All I could do is keep the welcome mat out for her at all times. If she left, she would probably go back to Sacramento, where pretty much the only people she knows are in the cemetery. I feel sometimes as if I were treading barefoot on broken glass. Still, the way things are, I prefer being with her than without her. We have been together for almost thirty years, and I like being with her, even during difficult times. No, I am not interested in looking for someone else at this point so that I can celebrate Martine’s attempts to live alone without friends or funds. Some people are difficult, but if they are at the same time gentle and kind, they are worth their weight in gold. Afterwards, we went to the China Islamic Restaurant in Rosemead, where I ordered lamb chow mein with fresh dough-cut noodles and sesame green onion bread.